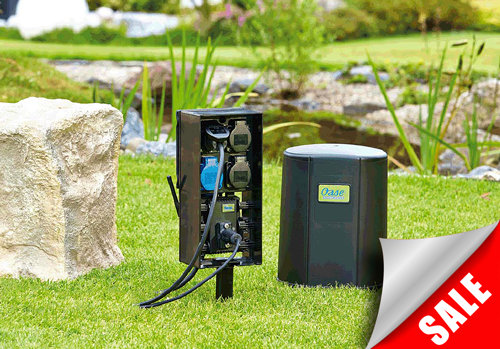 Pond & Garden Electrical items on special offer. Remote control unit with 4 socket outlets and variable speed controller. Replacement parts for Velda I-Tronic including Copper Anodes, Stainless Steel Cathodes, Replacement End Caps, Winter Caps and Control Unit. All items discounted to clear stock.